This study investigated the factor structure of the Childhood Autism Rating Scale (CARS). 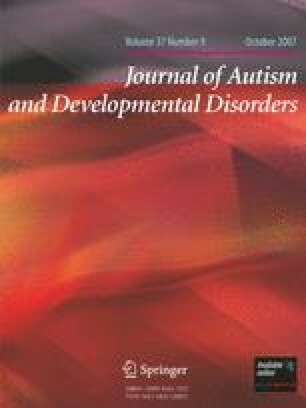 Principal components analysis (PCA) and principal axis factor analysis (PAF) evaluated archival data from children presenting to a university clinic with suspected autism spectrum disorders (ASDs; N = 164). PCA did not replicate components identified by DiLalla and Rogers (1994, Domains of the Childhood Autism Rating Scale: Relevance for diagnosis and treatment. Journal of Autism and Developmental Disorders, 24(2), 115–128) and Stella, Mundy, and Tuchman (1999, Social and nonsocial factors in the Childhood Autism Rating Scale. Journal of Autism and Developmental Disorders, 29(4), 307–317). PAF identified correlated Social-Communication, Social Interaction, Stereotypies and Sensory Abnormalities, and Emotional Regulation factors. Results differed across studies; however, each identified ASD related constructs conceptually consistent with DSM-IV. Although its development predates the DSM-IV, and many newer measures are available, the CARS’ psychometric properties, conceptual relevance, and flexible administration procedures support its continued use as a screening device in the diagnostic decision-making process. This work was supported in part by NIH grant U54 MH066397 (a STAART Center). The authors thank Dr. Christopher Price for his tireless database management and Dr. Charles A. Dill for his instructive feedback on the methodology and statistical analyses.